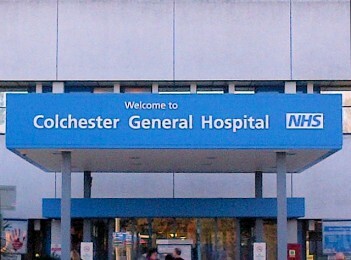 Colchester General Hospital has received highly negative and worrying feedback following an inspection by the Care Quality Commission (CQC) in April this year. The inspection found: patients in corridors, a bullying culture and a poor quality of end of life care. Urgent action has been enforced. The hospital was put in special measures by the CQC back in November 2013 and remained in special measures following a September 2015 visit. The purpose of this latest inspection was to ensure significant improvements had been made. England’s Chief Inspector of Hospitals Professor Sir Mike Richards has said that the findings from the visit “did not represent the degree of improvement we would have wanted to see or the level of care we feel people should be able to expect” and that he has “authorised urgent enforcement action be taken against the trust”. The findings included: concerns regarding a bullying culture on the Peldon ward, the flow of patients through the Emergency Department, patients left in corridors and a need for safer surgery checks. There is however optimism about the partnership which has been put in place with the Ipswich Hospital NHS Trust. Going forward the hospital will have more frequent and focused inspections to try and improve the specific concerns. Based in Colchester and Clacton, Essex, TSP has one of the foremost clinical medical negligence teams in East Anglia. If you think you may have been the victim of a medical accident, contact one of our Medical Claims Advisors to find out more about how we can help you with your claim. The full CQC report undertaken on 4, 5 and 13 April can be found here.